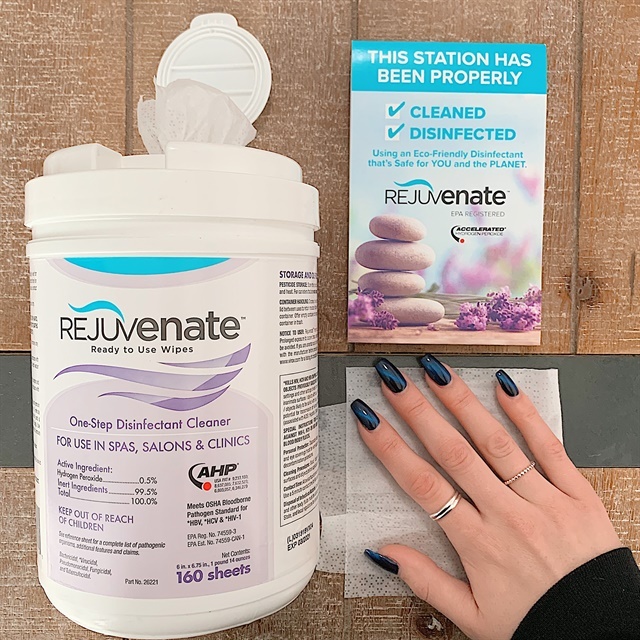 Rejuvenate Disinfectant Wipes effectively clean and disinfect nail salon surfaces and foot baths in as little as one minute without the use of harsh chemicals. The wipes are an EPA-registered hospital grade disinfectant. They are non-toxic, non-irritating, and the environmentally friendly choice for nail salon sanitation. To enter, leave a comment below. Five winners will receive a starter kit including two canisters of Rejuvenate Disinfectant Wipes, a tent card to show the surface has been disinfected and how-to-use protocols. Sorry, U.S. only. Winners will be selected on Wednesday, February 6.